Northern Ireland's police chief has blamed the so-called "New IRA" as the primary dissident republican group orchestrating rioting and murder bids on his officers in Derry. George Hamilton said members of other violent extremist organisations were also involved in fomenting six successive nights of violence. In the latest bout of unrest, two explosive devices were hurled at officers on Thursday night, with 74 petrol bombs also thrown. Police have said it was a "miracle" no officers were injured. Three men were arrested, one on suspicion of attempted murder. Riot police fired four baton rounds during the disturbances in the republican neighbourhood. Many of those engaging in the violence are youths, some not even in their teens. A community rally was held last night to give people from both sides of the divide an opportunity to demonstrate their collective opposition to the disorder. After being briefed by local commanders in Derry, Mr Hamilton warned that if the violence continued it was "only a matter of time" before someone was killed. "We believe there are members of a variety of dissident groupings in this disorder - the so-called New IRA is probably the primary grouping behind this disorder and behind these threats to police and these murderous attacks on police," he said. "If this continues, it's only a matter of time before a police officer or a child or young person involved in this violence gets very seriously injured or worse." The latest disorder flared after the city hosted 12th of July Orange Order parades. Members of the public were also targeted in the violence. At one point, a hooded rioter hurled a petrol bomb at the windscreen of a van passing through the Bogside from point blank range. 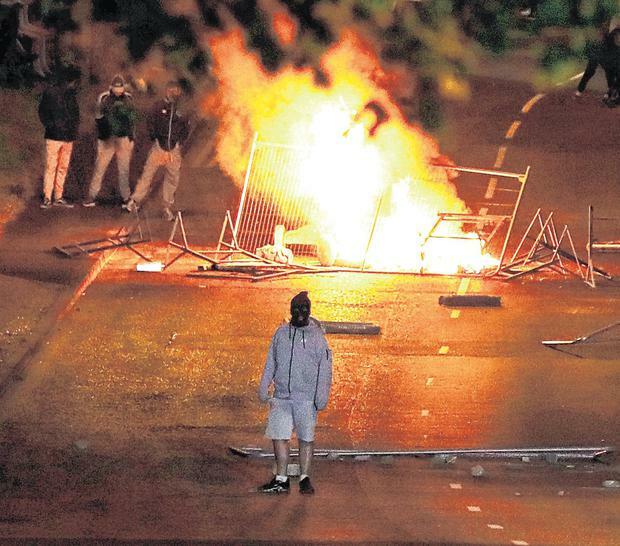 Large groups of hooded teenagers lined the streets of the Bogside from 9pm, carrying petrol bombs in shopping bags before starting a makeshift bonfire at the bottom of a busy flyover. 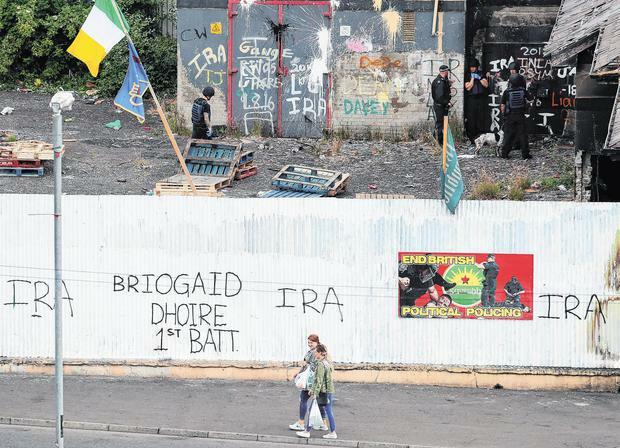 Sinn Féin president Mary Lou McDonald, who held talks with community leaders in the city yesterday, said the rioters would not break the people of the Bogside. She said the dissidents were on the "road to nowhere" and rejected any suggestion they were true republicans. "What we are witnessing here is a cynical and calculated manipulation of young children into a warped agenda that serves no useful purpose," she said, as she urged people to turn out to the rally in large numbers. "This is a deliberate strategy by those who style themselves as dissidents to mislead children and cause fear and hardship across the community."